is located in Westmoreland County, in SW Pennsylvania (PA) and geographically about 30 miles SE of Pittsburgh, PA, about 25 miles NE of Monessen, PA and about 38 miles NE of Uniontown, PA.
After the end of the Revolutionary War, an inn was built along a wagon trail that stretched from Philadelphia west over the Appalachian Mountains to Fort Pitt, now the city of Pittsburgh. A tiny settlement known as Newtown grew around the inn, today the center of Greensburg's Business District at the intersection of Pittsburgh and Main Streets. 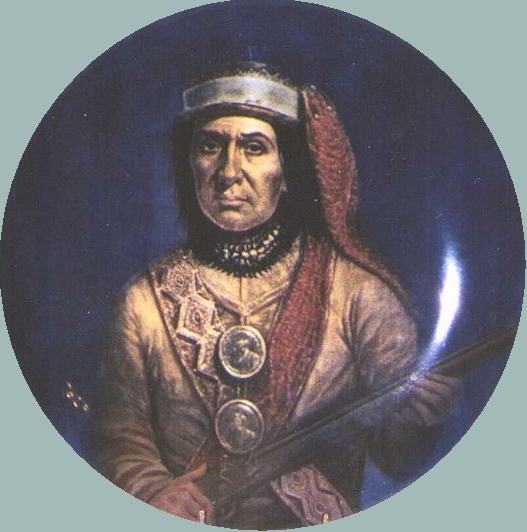 In 1782, a raid by Guyasuta-led Seneca Indians (pictured), accompanied by Canadian rangers, burned Hannastown, the original Westmoreland County seat north of Greensburg and the first county seat west of the Appalachian Mountains. Newtown became the new county seat in 1785. In 1786, the county built a log courthouse on land purchased from two residents, Christopher TRUBY and William JACK. 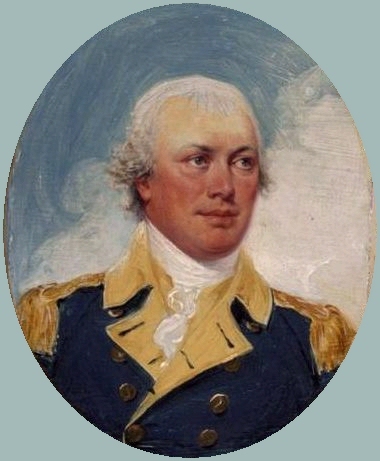 The area surrounding the courthouse became the original borough of Greensburg, named for American Revolutionary War Major General Nathanael GREENE (pictured). Greensburg was formally incorporated as a borough in 1799. The Westmoreland County Courthouse (pictured), in its various incarnations, has stood on this site. What began as a log structure changed to brick and now is now a four story landmark with a central dome in the Italian Renaissance style. The current courthouse is one of only two in the world designed by William KAUFFMAN. The first court held in Greensburg was on 7 January 1787. 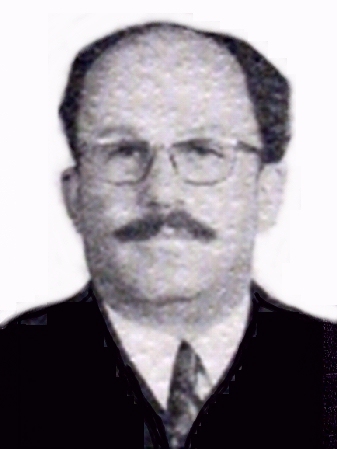 Judge David H. Weiss (pictured) was the only Jewish Judge in Westmoreland County and a Judge in the Court of Common Pleas. In the early 19th century, Greensburg continued to grow slowly and steadily until 1850 when an economic boom was created by the convergence of coal and the railroad which made it grow with inns, businesses, and an exploding population. One main draw was the location of the railroad stop. Of note, James BUCHANAN, Pensylvania's only President of the United States (1857-1861), visited Greensburg often because his sister was married to a local pastor. In 1879, Wolf DANIELS came from Europe to this country and was the first Jew to settle in Greensburg. By 1890, ten Jewish families lived in Greensburg. The economic boom created by coal and Greensburg's retail industry convinced the Pennsylvania Railroad to build the train station at Greensburg. The railroad commissioned architect William COOKMAN to design the new station (pictured) and on 2 August 1911, it was opened to the public. The station was heavily used until the 1940s when it began to decline, due to the rise in use of automobiles. Greensburg, at this time, was in the heart of the very rich coal region and abundant natural gas resources. Pictured is the deepest natural gas well in the world nearby Greensburg. Coal is mined and exported in vast quantities and coke is produced in such events as such a vast scale has become one of the most important industries of the area. Natural gas is very abundant and is quite a source of revenue for the city. Coal, natural gas and coke are by no means the limit of the resources of this thriving city. Flour Mills, glass plants, lumber mills, bolt and nut factories, furniture factories, and many others, are to be found in this region that has many advantages for such plants. This very abundant natural gas and coal makes the operation of manufacturing plants in the Greensburg district at much less than the usual cost elsewhere and it has excellent transportation facilities which enable the factories ship their output of the East and West, at a very reasonable cost. 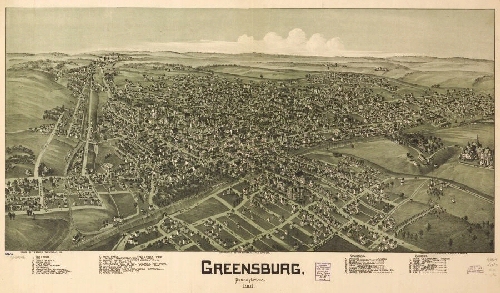 By the 1900s Greensburg began to absorb many of the smaller boroughs that surrounded it, including Bunker Hill in 1894 and Ludwick, East Greensburg, and Southeast Greensburg in 1905. After World War II, more residential areas were developed in various sections of town and Greensburg's cultural status grew. In 1917, Greensburg had an excellent city administration, three newspapers that have a wide circulation and wide influence throughout the country. It has 17 religious institutions that meet the spiritual needs of every member of the city, regardless of their religious affiliation. It has several banks of unusual size and strength for community of that size. It has a splendid educational facilities and YMCA (pictured) and other institutions that are part and parcel of every well-organized municipality that is inhabited by a progressive citizenship. There are many important retail stores in the city, an the owners are active in those co-operative measures that look to the promotion of the city. Clean and well-kept streets is a point of interest to many out-of-town folks who have had some experience with other Pennsylvania towns. Greensburg gives the opportunity to make big strides in manufacturing because it has the facilities, natural resources and the enterprise to advance it rapidly among the larger cities of the state. 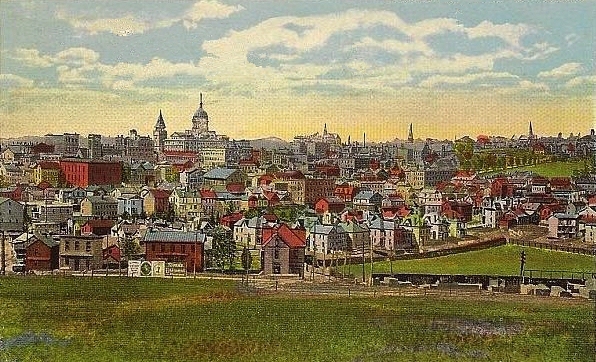 Greensburg became a Third-Class City on 2 January 1928. 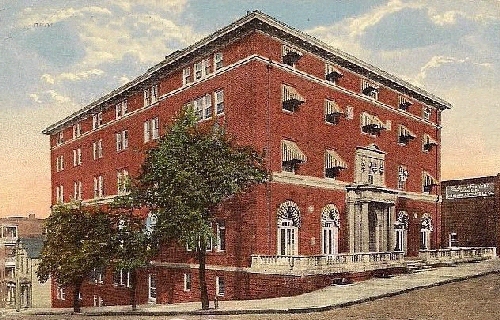 Seton Hill College (pictured), formerly St. Joseph's Academy, became a four-year women's institution in 1918. The Westmoreland County Museum of Art opened in 1959. The University of Pittsburgh founded its branch campus at Greensburg, in 1963, now located in Hempfield Township. The opening of Greengate Mall and Westmoreland Mall in 1965 and 1977, respectively, marked a new era for retail shopping in the area, but negatively impacted retail businesses in Downtown Greensburg's shopping district. Changes in local shopping habits had already taken its toll by the late 1970s when Troutman's Department Store (pictured) closed. By the mid-1990s, city officials shifted its revitalization plans on the cultural aspects of Downtown Greensburg, such as the restorations of the Palace Theater and the historic Train Station, as well as a new, recently opened performing arts center for Seton Hill University. In July of 2009, Lake Erie College of Osteopathic Medicine, the largest medical school in the country, opened a satellite campus at Seton Hill University. Now over 200 students study at LECOM at Seton Hill every year. As part of this ongoing transition, an expansion of the Westmoreland Museum of American Art is planned. 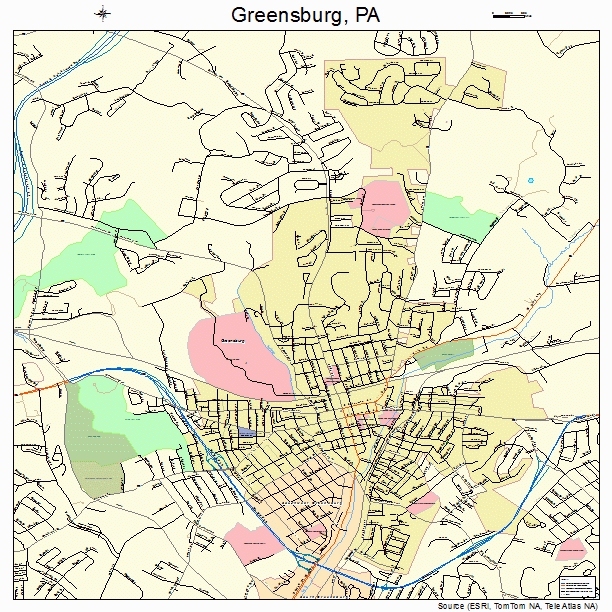 Today, Greensburg is a still a small city with about 15,889 inhabitants (2000) and is approximately 20 miles in perimeter with 40.4 miles of city streets and 7.90 miles of state highways. Popular tourist attractions in and around Greensburg include the Greensburg Garden and Civic Center, Greensburg Hempfield Area Library, Kirk S. Nevin Ice Arena, Lynch Field, Old Hanna's Town, Palace Theater, Performing Arts Center of Seton Hill University, Robertshaw Amphitheater, St. Clair Park, Seton Hill University, The Train Station, Twin Lakes Park, University of Pittsburgh at Greensburg, Westmoreland County Courthouse, Westmoreland Fairgrounds, Westmoreland Mall and Westmoreland Museum of American Art. James CLARKE, (b. Greensburg, 15 July 1812) was the third Governor of Iowa Territory 18 November 1845&mash;3 December 1846, appointed by President James Polk. He was a printer by trade moving to Belmont, the new capital of the Wisconsin Territorywhen in 1836. He was secretary of Iowa Territory from 1839-1841 and mayor of Burlington, Iowa from 1844-1845. Clarke County, Iowa was named after him. 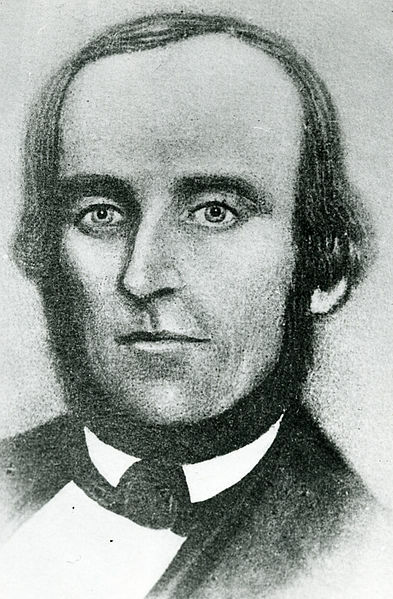 Next he moved to the new territorial capital in Burlington (now Iowa) and founded the Wisconsin Territorial Gazette and Burlington Advertiser on July 10, 1837. When the Iowa Territory was established, President Van Buren appointed Clarke "Secretary in and for the Territory of Iowa," shown in two of the donated documents, dated 27 November 1839 and 19 February 1840. He played a pivotal role in the development of Iowa, and as governor in December 1846, Iowa became the 29th state to join the union. In Burlington, he resumed work as a newspaper editor and then the first president of the Burlington School Board, active in local political affairs. In July 1850, his wife and infant son succumbed to a cholera epidemic and just two weeks later, Clarke, just 38, also died of cholera. The Clarkes are buried in Aspen Grove Cemetery, Burlington. Brett DETAR, (b. Greensburg, 30 April 1978) is an American singer, musician, and producer best known as lead singer of the now defunct rock band The Juliana Theory and as former guitarist/bassist for metalcore band Zao. Currently works as a producer at his own studio, Soho Taxidermy, in Manhattan, New York. On 9 November 2010, Detar released his debut solo and distributed it for free on his web site. Before his music career, Detar worked on a farm while growing up. He also worked at Carmike Cinemas in Greensburg. Detar enjoys ice hockey and played the sport growing up. Greg JONES (b. Greensburg, 10 August 1982), is one of the most successful American collegiate wrestlers of all-time. At West Virginia University, Jones won three NCAA Division I wrestling titles - one of only 39 wrestlers to accomplish that feat in the tournament's 75-year history. Shortly after his 5-3 decision of Cornell's Tyler Baier in the 184 pound finals, Jones was named the 2005 tournament's Most Outstanding Wrestler. In addition to his title in 2005, Jones won the 184 pound title in 2004 and the 174 pound title as a freshman in 2002. Jones won the PIAA championship as a member of the Greensburg-Salem Golden Lions wrestling team and was a two-time state champion. Greg went on to win three national championships as a member of the West Virginia University Mountaineers. He set his high school's record for career wins. Sheila KELLEY (b. Greensburg, 9 October 1961), is an American television actress. She is best known for her roles as Gwen Taylor on L.A. Law and as Dr. Charlotte "Charley" Bennett Hayes on Sisters. Kelley studied ballet at a young age and matriculated into New York University's Tisch School of Arts. On advice of doctors worried about the consequences of rigorous dance training on her hips, she redirected her studies to film directing and acting. She Michael Howard and was encouraged to pursue her passion for acting by her high school principal, Dr. George VOLLRATH, and ultimately moved to California in order to advance her career. Her acting career started in the 1980s in television, with her first credited TV role in 1987. She played the character Gwen Taylor in the legal drama L.A. Law from 1990-1993. Most of her work has been in guest roles on American TV series, although she notably played a stripper and performed a seductive dance routine onscreen in the 2000 feature film, Dancing at the Blue Iguana and was cast in a recurring role on season six of Lost, playing Zoe. She pioneered a new feminine movement called "S Factor," a Pole Dancing Workout. Peggy KING, (b. Greensburg, 16 February 1930) is a pop singer and former TV personality. She is best remembered as the female vocalist on The George Gobel Show. She also appeared in American Bandstand, Maverick, The Tonight Show starring Johnny Carson and The Jack Benny Show. 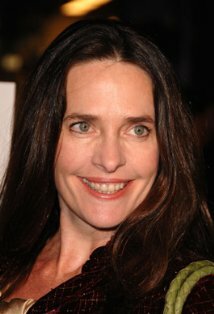 She portrayed the stewardess Janet Turner in the film, Zero Hour!, which became the basis for the disaster spoof, Airplane! Victor Joseph "Vic" MIGNOGNA (b. Greensburg, ____),is an American Anime Award winning voice actor and musician primarily known for his work for ADV Films, Funimation Entertainment, and Viz Media. He has provided numerous voices for Japanese anime films and television series as well as video games. He graduated from Liberty University with a degree in television and film production and also helped produce and arrange some of the songs on DC Talk's eponymous first album. He held various jobs early in his career, including a Drama and Speech teacher in Jacksonville, Florida, and an officer with the Ocean City Police Department.Mignogna moved to Houston, Texas in 1990, and was a film and video production instructor at the Art Institute of Houston. In 2007, the American Anime Awards presented Mignogna an award for Best Actor for his work in Fullmetal Alchemist. In addition to voice acting, Mignogna has been involved in music and sound production,and also video production. He was also a worship leader with Houston's First Baptist Church. Bruce WEBER (b. Greensburg, 29 March 1946), is an American fashion photographer and occasional filmmaker. Widely known for his Calvin Klein ad campaigns for Ralph Lauren, Pirelli, Abercrombie & Fitch, Revlon, and Gianni Versace, as well as his work for Vogue, GQ, Vanity Fair, Elle, Life, Interview, and Rolling Stone magazines. His fashion photography first appeared in the late 1970s in GQ magazine, with frequent cover photos and he shot the 1978 Bloomingdales mail catalog. He rose to prominence in the late 1980s and early 1990s with his advertising images for Calvin Klein. His straightforward black and white shots, featuring an unclothed heterosexual couple on a swing facing each other, two clothed men in bed, and model Marcus Schenkenberg barely holding jeans in front of himself in a shower, catapulted him into the national spotlight. His photograph of Calvin Klein of Olympic athlete Tom Hintnaus in white briefs is an iconic image and he photographed the winter 2006 Ralph Lauren Collection. After doing photo shoots for and of famous individuals (many of whom were featured in Andy Warhol's Interview magazine), Bruce entered the realm of filmmaking, making short films of teenage boxers, Broken Noses. James Charles WHITE, Jr., (b. Greensburg, 6 April 1937) was an American radio talk-show host on KMOX, in St. Louis, Missouri. Jim White began his radio career in 1953 (age 16) at radio station WHJB (now WKHB in Irwin, Pennsylvania), at studios then in his hometown Greensburg, PA. After he graduated from high-school in 1955, White worked at station WDFM at Penn State University. White also served in the U.S. Army. In 1958, White worked at stations WAKU in Latrobe, Pennsylvania and at WMCK in McKeesport, Pennsylvania. In 1959, White moved up to work as a rock jock at station WJAS, in downtown Pittsburgh, Pennsylvania. In 1966-1968, White worked at KDKA, the largest radio station in Pittsburgh. During 1969-1999, White worked for 30 years at radio station KMOX, St. Louis, Missouri as a talk show host - "The Big Bumper." He was also program director, news director, and program host. White retired 7 April 1999.